Through the engagement with programmes like ‘Concrete in the Classroom’ and ‘STEM’ we have already begun to involve young people in the construction of the site, enhancing their confidence and skills. 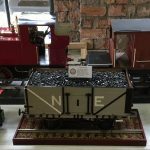 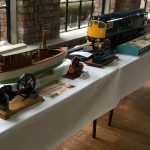 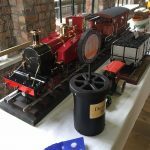 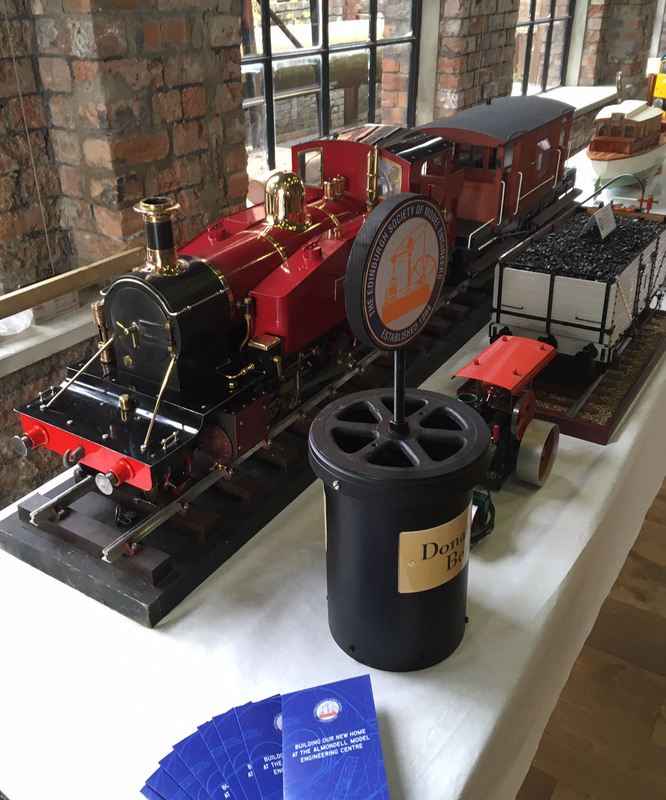 Midlothian Science Festival ran an event in The National Mining Museum at the Lady Victoria Colliery, Newtongrange. 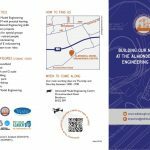 ESME were asked if they would like to put up a display to support the event which aims to bring all sorts of STEM (Science, Technology, Engineering & Maths) activities together. 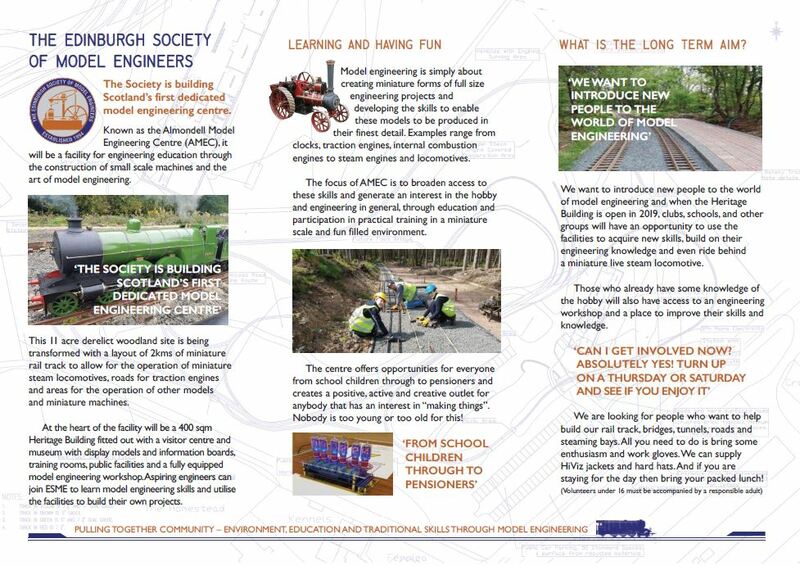 All events for the Midlothian Science Festival are community outreach and aim to run enjoyable science activities in Midlothian appealing to a large, diverse audience of all ages and backgrounds, from professionals to novices, from science enthusiasts to the merely curious. 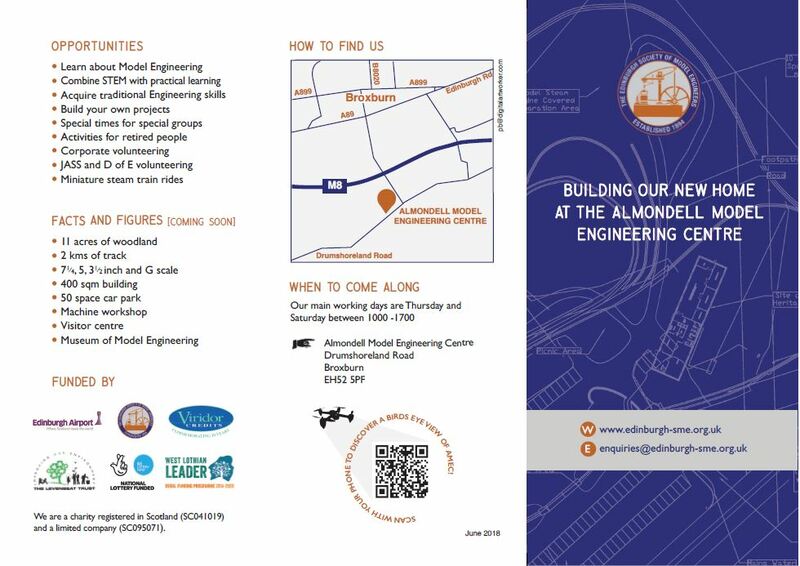 They showcase current and historical science originating within Midlothian and demonstrate Midlothian’s contribution and importance to science and technology at a global level and to broaden the horizons of future generations of scientists. 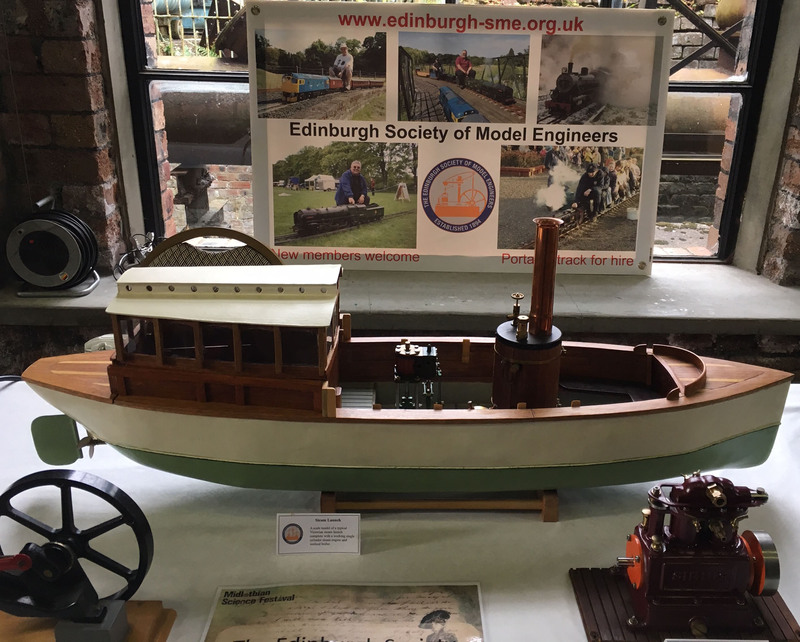 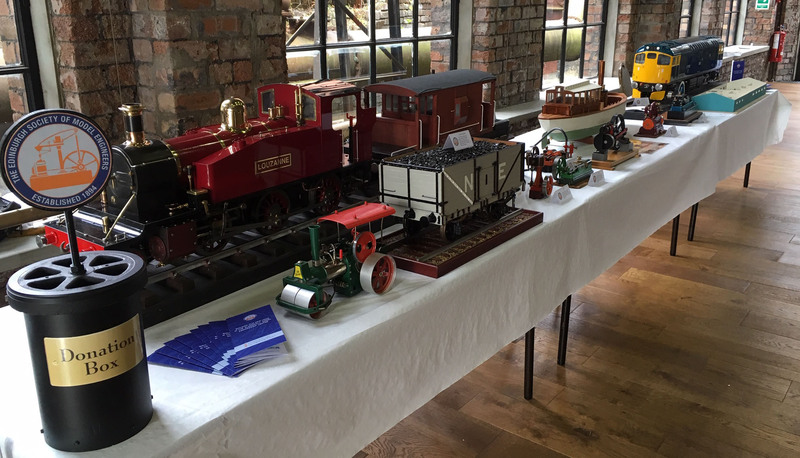 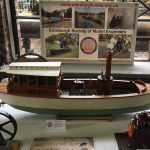 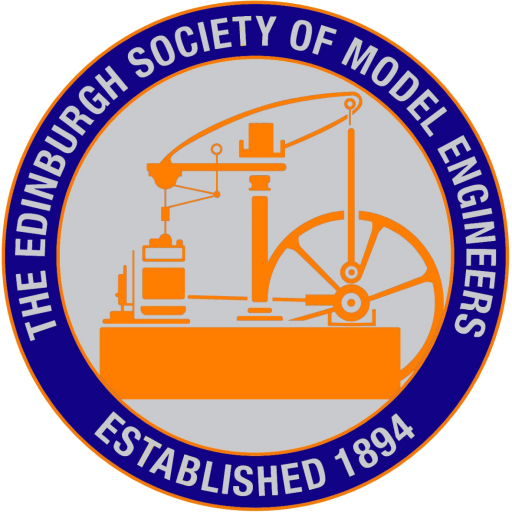 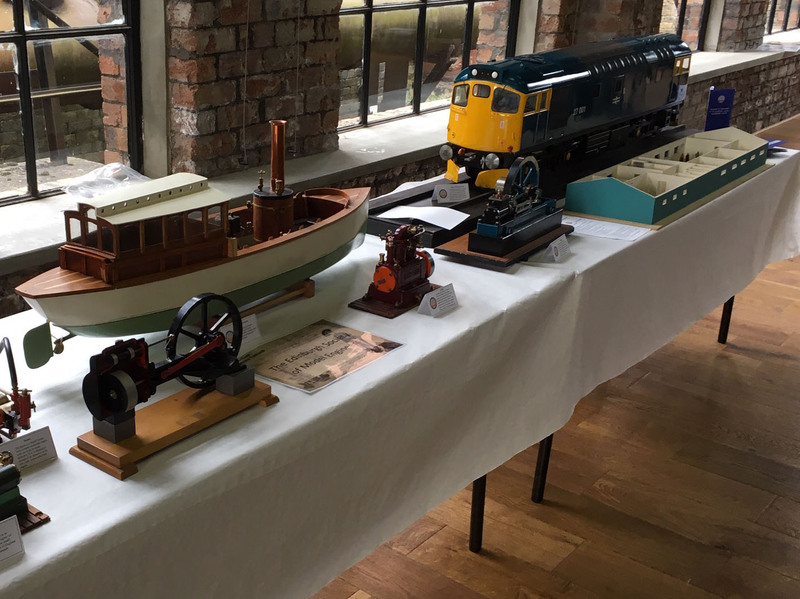 ESME felt that this was an event worth supporting as we are actively encouraging people to come along to the Almondell Heritage Centre and Museum to experience first hand the diverse opportunities to get involved with miniature engineering and environmental conservation. 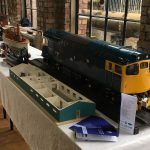 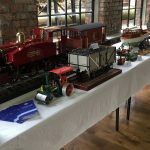 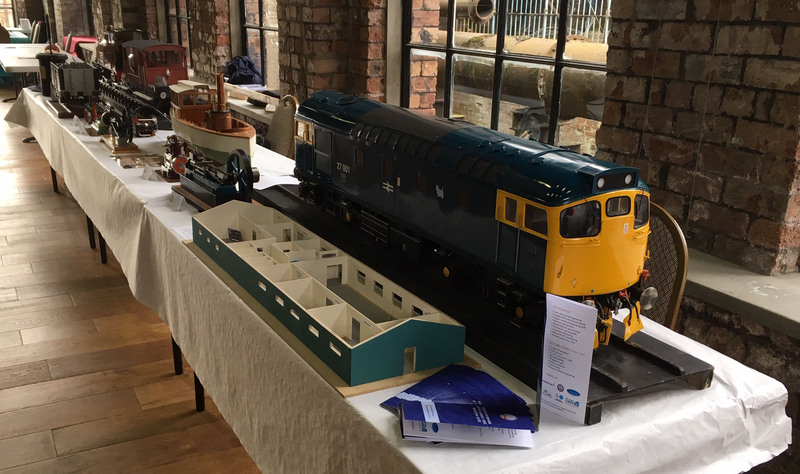 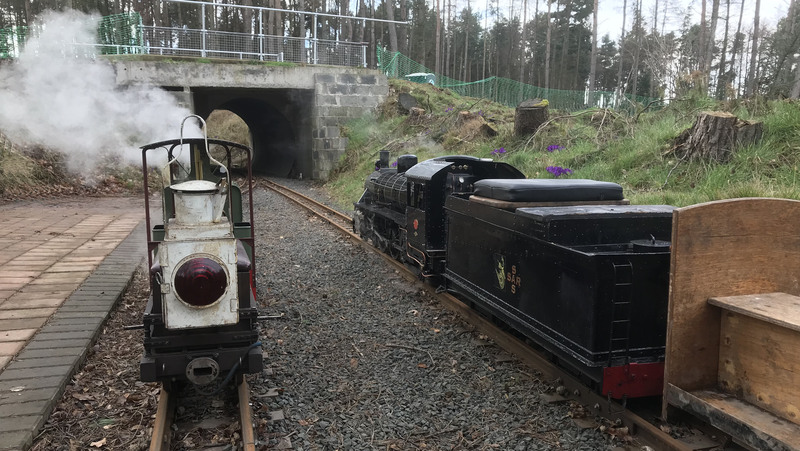 A series of eight events event hosted by Dale Lyons called Railway WorkX which is taking pupils from a number of schools in the area to the Almondell Site to look at how the railway track is formed and then run a train on the track. 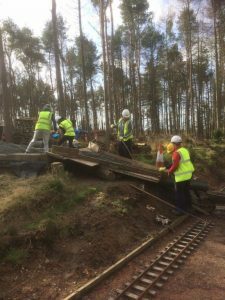 On site the young adults will look at Risk Assessment and Method Statements of the work that they are going to be carrying out on site to ensure that they understand safe working practices. 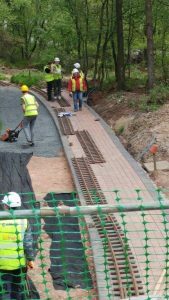 They will then look to lay between 20m and 30m of track after laying the Terram fabric and levelling the ballast that they place. Octavian Concrete arrived at Almondell on Tuesday 14th March. 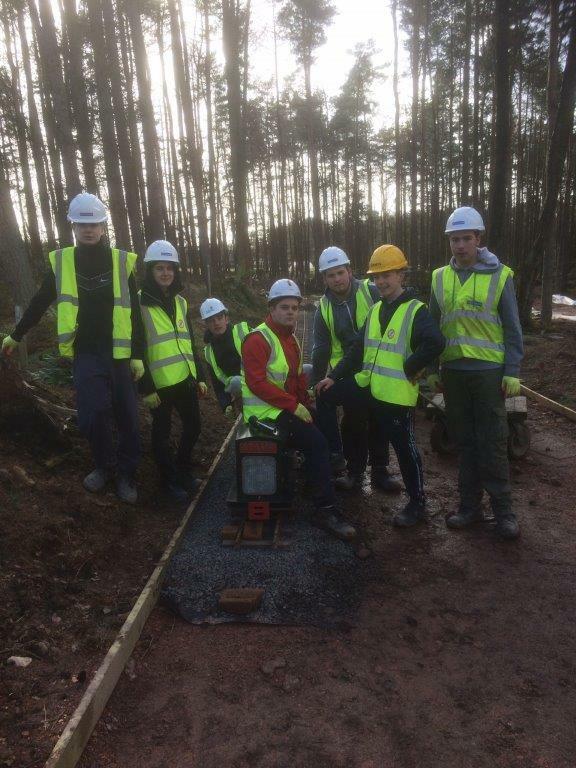 Concrete Scotland was given a commission to deliver an 8 week construction course themed around employability by West Lothian Council. 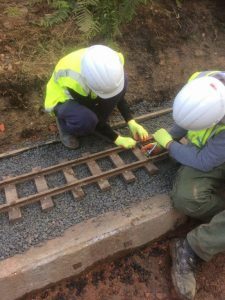 One of our members, Dale Lyon, is the director of Concrete Scotland and devised one of the activities on the Octavian Concrete Program to include a visit to our site to carry out some track laying activities. 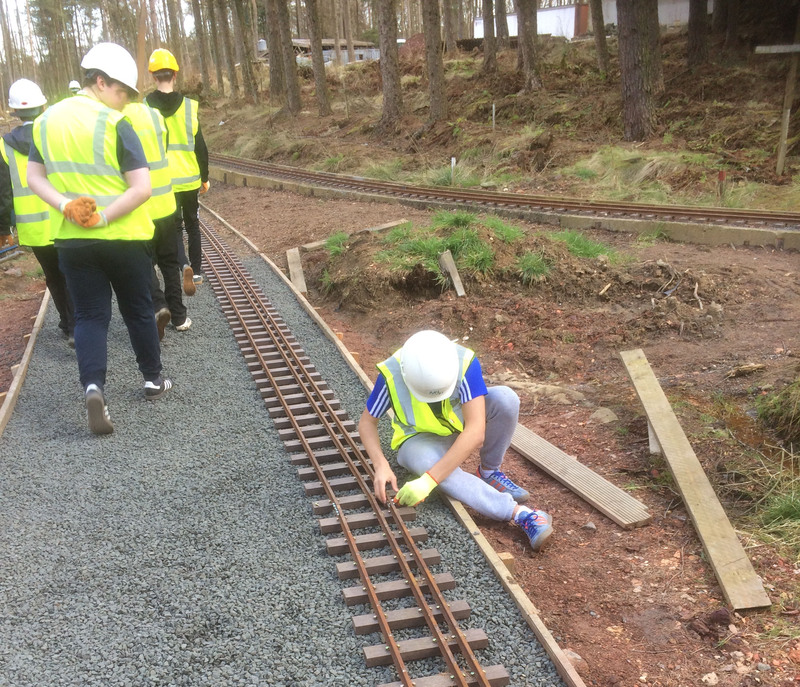 The 7 pupils really got into the activities and were able to run a train on the spoils of their labours – 20m of track – by the middle of the afternoon. 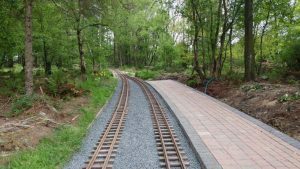 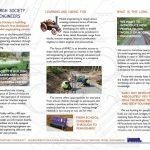 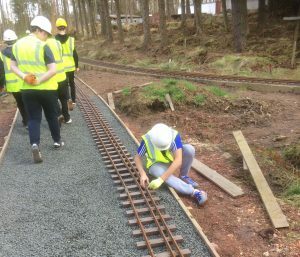 The participants of the program undertook tasks such as setting out, laying Geo textile, Laying and Compacting the sub-base before laying the track down and then running a train on the track. 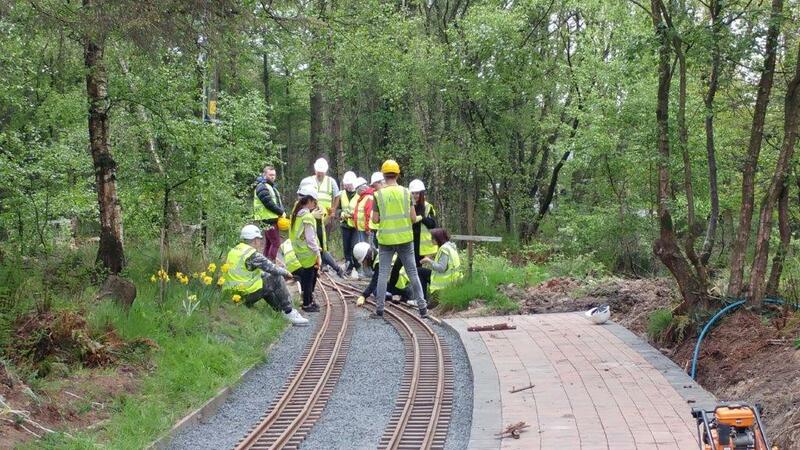 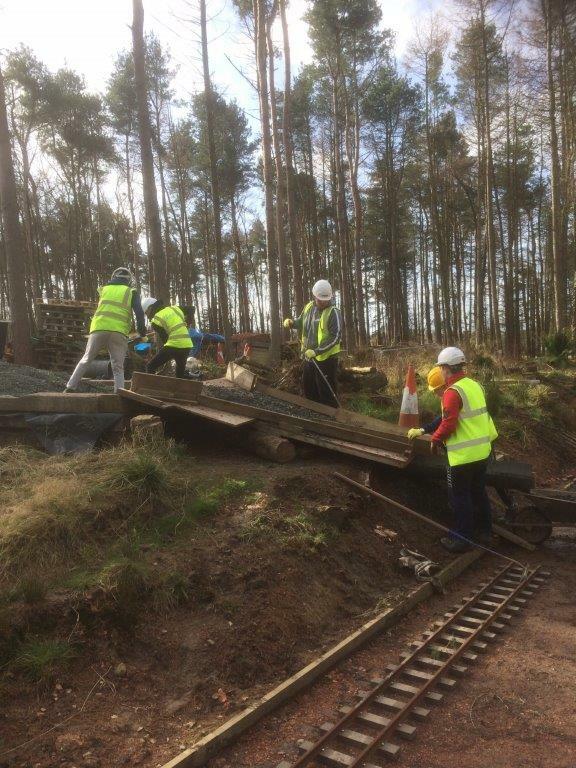 Inverkeithing High School get ‘Working on the Railways’ when they visited the Almondell site during May. 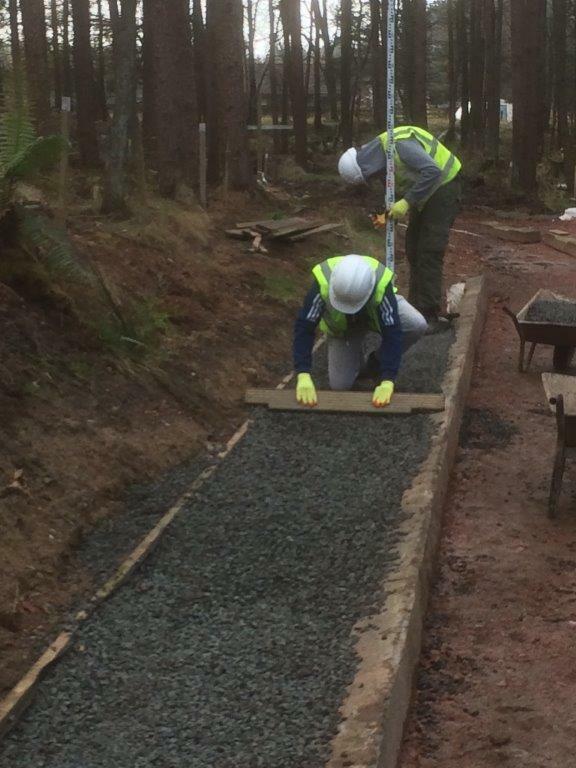 The ten senior phase pupils took time out from their studies to take part in the experiential learning activity developed by Concrete Scotland in conjunction with ESME. 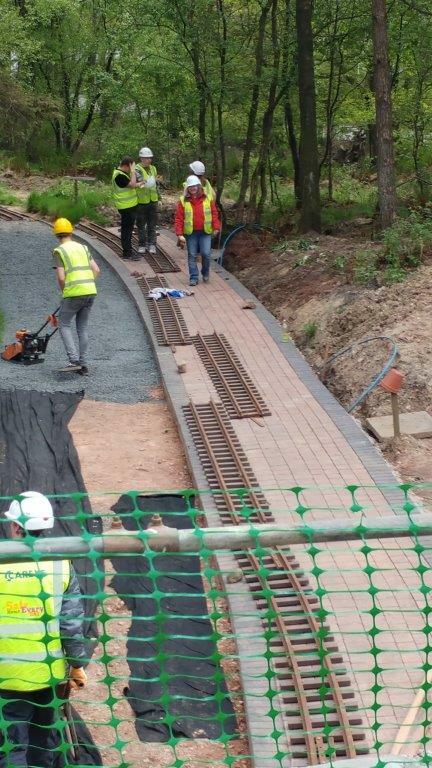 The young people delivered 30 metres of track on time and within specification at the prestigious platform section of the initial loop. 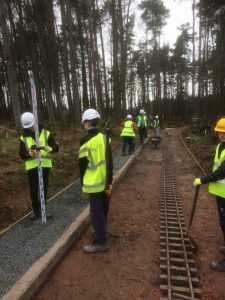 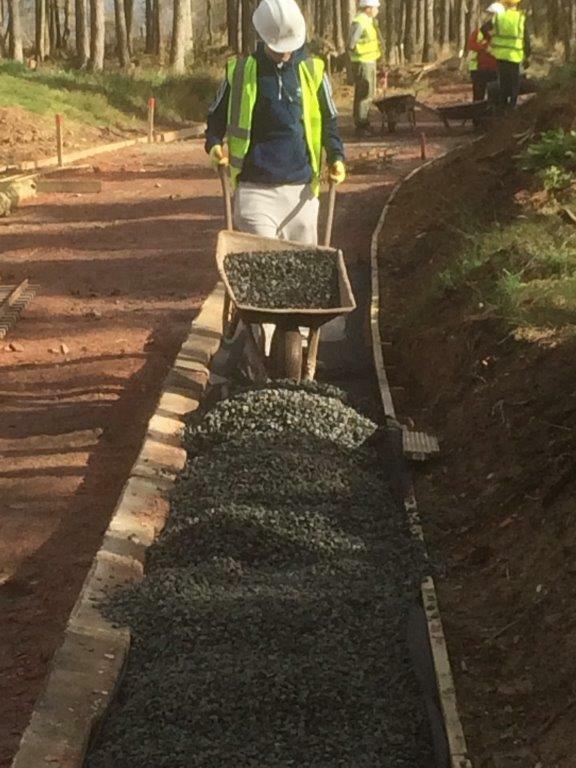 Having spent the morning wheelbarrowing the stone, compacting and levelling the same the students connected the track sections then got to run the ‘Scamp’ engine on a couple of hundred metres of functioning track.